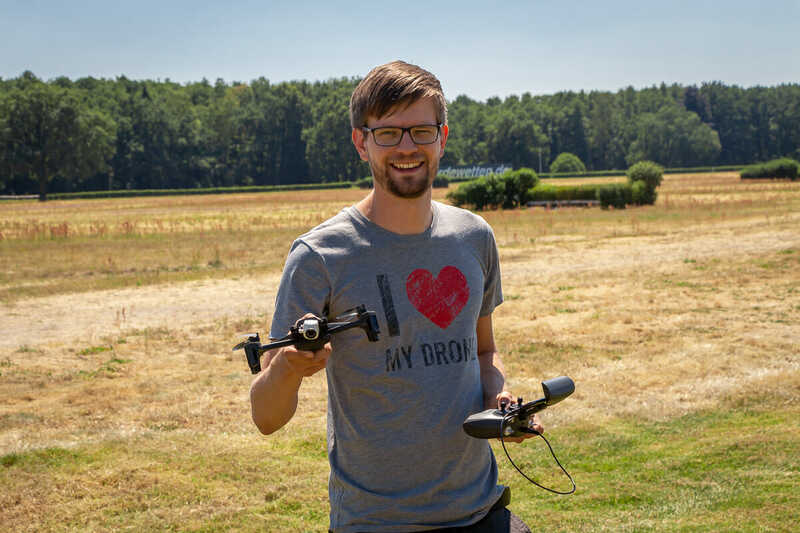 Anafi – that’s the name of the new drone made by Parrot, which you can buy in Germany since this week. We flew with the Parrot Anafi and were able to question the founder of Parrot at a meeting on the new drone. In this post, we’ll tell you what fresh approaches the Parrot Anafi scores and whether it’s worth buying. The Parrot Anafi is ultra compact, can fly for 25 minutes and record videos in 4K. That’s pretty good case for this new drone. The functionality of the Anafi is also impressive because creative filmmakers can capture entirely new perspectives with the Anafi, which were previously not possible. It does not take much preparation to fly the Anafi. Once you’ve unpacked the Anafi, you just fold the propeller arms outward and turn on the aircraft. The arms are designed so that they are placed far away from the camera, and thus no rotors appear in the recordings. The propellers themselves are already firmly attached to the engines, which saves you valuable time. 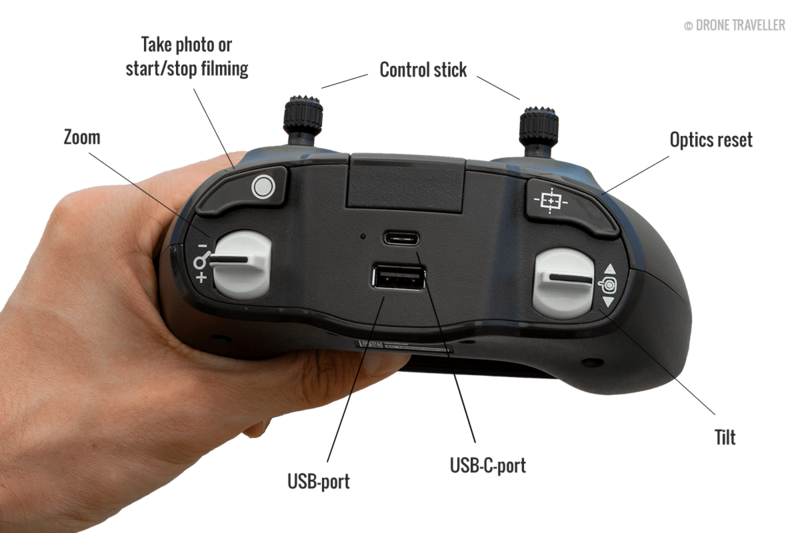 Of course, you still need the remote control for flying (Skycontroller 3). This can be opened quickly and fits well in hand. Nevertheless, I find the controller a bit clunky and with 386 grams relatively heavy. The controls are all within easy reach, so it’s fun to fly with the Skycontroller. If you want to make video settings, you need to install the FreeFlight 6 app on your smartphone. You connect the smartphone to the Skycontroller via cable, fasten it in the holder, and you’re ready to go. The Anafi automatically lifts at the touch of a button and stays in the air. She keeps her position very accurate. This is due to the Anafi, on the one hand, a camera and an ultrasonic sensor on the bottom, are determined by the positional deviations. On the other hand, a GPS and a GLONASS module ensure that the geo-coordinates are accurately determined. As soon as course deviations are noticed, the copter corrects the flight path. This makes it extremely easy to control the Anafi. The whole flight behavior was much fun. The Anafi responds immediately to the control commands, and fast maneuvers are possible. Even at long distances, the image transmission remains stable. During my test flights, I did not notice any interruptions. One reason for the stable image transmission are the four antennas, which are installed in the propeller arms and ensure a reliable radio connection in every direction. I like the possibility to start the Anafi out of my hand. You can throw the drone in the air with the engines on, and then the Anafi flies right where you threw it. This is fun and ideal if you want to start in uneven terrain. Even landing in hand is super easy with the Anafi. Compared to other models that I have tested so far, the Anafi can best start and take off. After you have finished your flight, the propeller arms and the Skycontroller have quickly folded again. The Anafi comes in a stylish bag that fits perfectly in a backpack. 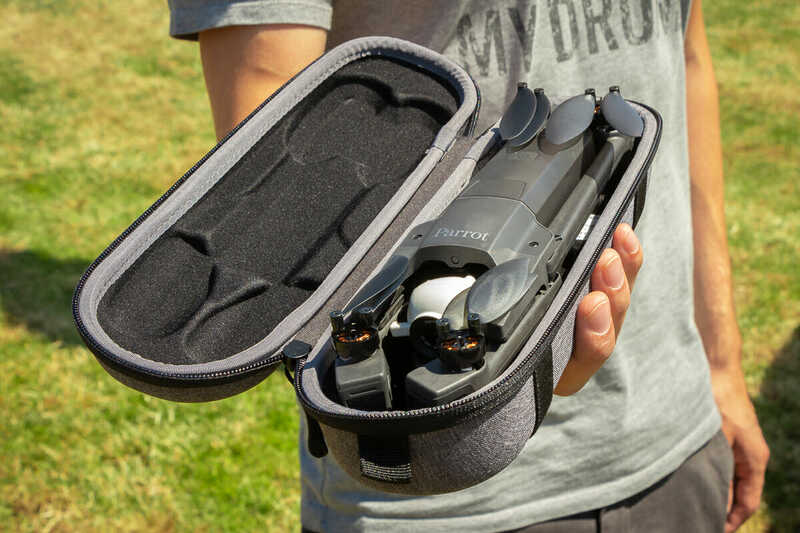 This allows you to stow the drone and move on after your flight quickly. Parrot sells the Anafi as one of the safest drones on the market. However, users must forego many of the security features that we know from other models. Above all, criticism triggers the lack of obstacle detection. There are no sensors on the Parrot Anafi that identify objects in the path and prevent a collision. For other drones in this category, this feature is now standard. 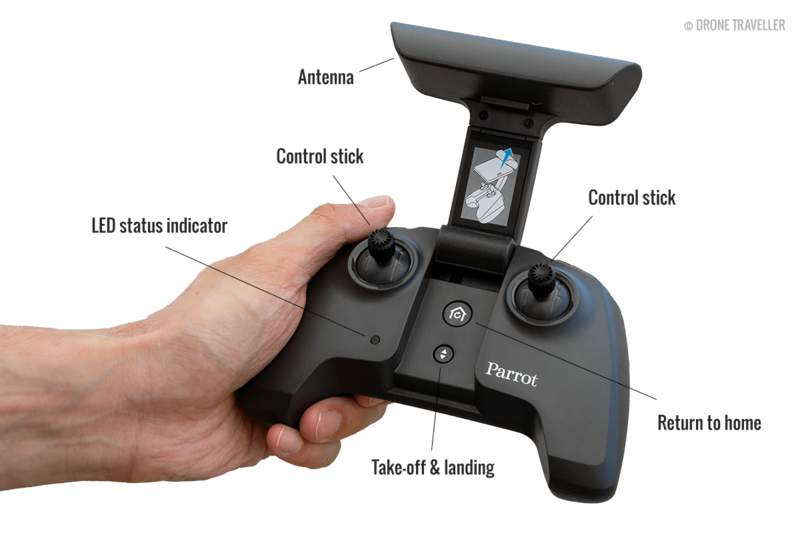 Of course, we asked the founder of Parrot why the Anafi is not equipped with this feature. The Anafi was therefore about bringing the lightest possible drone on the market. Also, as Henri Seydoux explained, the focus during product development was on easy piloting and placing an excellent camera in the drone. Everyone should be careful with their drone and avoid risky flight maneuvers. Thus, the risk of a collision is low. At the Anafi demonstration, some inexperienced pilots maneuvered the drone against objects. In the crashes, neither the drone nor the environment has happened. So I think that you (even as a beginner) can do without obstacle detection well. The quadrocopter is very light, which releases less energy in an impact. Besides, the propellers are designed so that the effects of a collision are low. Even if you accidentally grip your fingers in the rotating propellers in flight, nothing should happen to you. The camera is the pride of Anafi developers. This focus is just right because I buy a drone for taking pictures and filming. The first thing that strikes the Anafi is that the camera is attached to a biaxial gimbal that also allows panning upwards. This results in entirely new ways to make with drones creative filming. In addition to the mechanical stabilization, unwanted movements are compensated by digital image stabilization. For videos, the Anafi offers two possible resolutions: 4K with a maximum of 30 frames per second or FullHD with a maximum of 60 frames per second. Installed in the camera is a sensor with 21 megapixels, the z.T. allows lossless zooming. This gives you the Anafi even more creative freedom. In difficult lighting conditions, you can record HDR videos. Cameras often have a problem when the subject has both dark and bright areas. In such scenes, the shadows often appear black, and the bright areas are overexposed. However, the HDR video feature gives you more dynamics, so your footage more matches the natural visual impression. So that you can create excellent films with little effort, the developers of the Anafi make many exciting flight maneuvers that you can program. These include time-lapse and slow-motion shots. 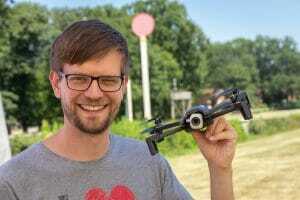 Smart Dronies and Dolly Zoom (Vertigo Effect). For professional requirements, recordings can also be recorded in a flat color profile (P-log), so that better successes can be achieved during the color grading. 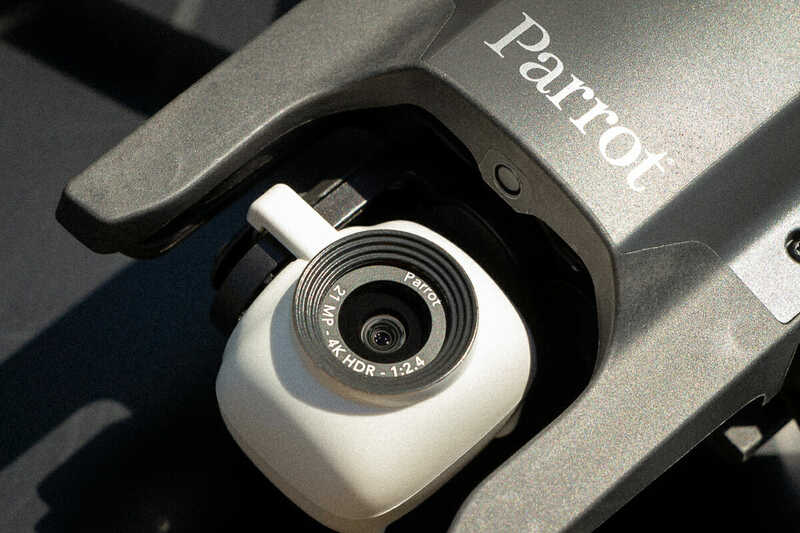 To get a better idea of what Anafi’s camera can do, check out the following video from Parrot, captured completely with the Anafi in P-log mode. In addition to the intelligent maneuvers described above, you can unlock further flight maneuvers in the FreeFlight 6 app via InApp purchases (€ 21.99 each for iOS and € 19.99 for Android). This includes the flight mode Flight Path. This feature allows you to define specific waypoints that Anafi should fly one after the other. This allows you to prepare your flights precisely. Also, you can extend the functionality of your Anafi with the Follow Me mode, which is based on two technologies. Firstly, the follow-me mode uses the GPS position of the smartphone, with which the Anafi is controlled. 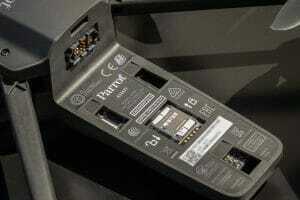 Parrot also works with algorithms to recognize you regardless of the GPS signal and to put you perfectly in the scene. Unfortunately, I do not understand why Parrot again requires money from its customers for these functions. I would find it much better if Anafi users were able to exploit the full potential of the drone completely. There were rumors on the Internet that Parrot will forgo the InApp purchases in the future and will provide all functions free of charge. However, Henri Seydoux made it very clear to me in conversation that the current practice should adhere. Unfortunately, I have to disappoint the hopes of the community. The Anafi has a flight time of a respectable 25 minutes. Amazed at the Anafi that with the app FreeFlight 6, it is not possible to take panoramas. Especially the innovative gimbal would be perfect to record spherical panoramas. It is precisely at this point that the products of the competition still have weaknesses. Unfortunately, Parrot has not seized the opportunity to close this gap. If you want to record panoramas, you must currently photograph the corresponding images independently and put together (stitch) in another software. I hope that Parrot continues to develop the app in the future, making it easier to create panoramas with a drone. Parrot is geared to the foldable propeller arms on the DJI Mavic Air and the DJI Mavic Pro. Both models have established themselves and have become popular travel drones due to their compactness. In the weight class, the DJI Spark is also very popular. 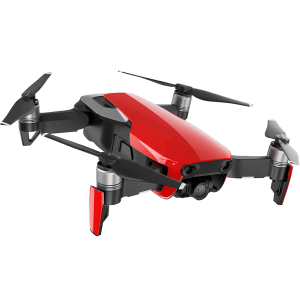 The Parrot Anafi combines the benefits of DJI Mavic Air / Pro with the benefits of DJI Spark. The Anafi is very light at 320 grams and can record 4K videos. This is of course of particular importance when traveling and on excursions. For this, Anafi users have to do without obstacle detection. A comprehensive comparison of the three models offers the following comparison. The Parrot Anafi has great features and brings new wind to the drone market. The tilting camera is just terrific! The price of the drone is also justified in this extent. Nevertheless, some things are half-heartedly implemented. This is how the memory card is located underneath the battery. This is just impractical and out of date. I also find it critical that certain features are available only as an InApp purchase. Parrot does not do himself a favor. In addition, I miss with the Anafi an integrated panorama function. Especially the 180 ° swiveling camera is ideal for this purpose. Hopefully, Parrot will enable the Anafi users to create panoramas through an app update in the future. Despite these little criticisms, I am convinced that the Parrot Anafi is an excellent travel drone. The low weight, the outstanding camera characteristics, and the extensive flight functions speak for the Parrot Anafi. The only downer is the lack of obstacle detection. However, if you are careful on the road, it works well without the additional sensors. Therefore, the Parrot Anafi represents a real competition for the established models. What do you think about the Anafi? Leave us a comment or rate the quadrocopter if you have already flown it yourself! 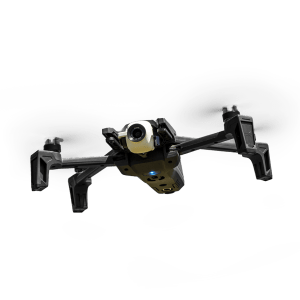 Parrot Anafi Drones has all other features best except take of weight capacity. Additionally, the second reason behind it’s fewer sale is it’s double cost as compare to other drones. I think so, you should fix little high price than other drones rather than double price. This is actually the best option in the market for a drone pilot. Is not for beginners.